One goal for my overall vision is to provide more STEM and STEAM offerings for our learners. Project Lead The Way, an organization based in Indiana, provides great resources for us. This year, we have two offerings that are STEM related with another being added next year. Making our Automation Robotics program even more rich is the instructor, who also oversees our Tiger Robotics programming after school. 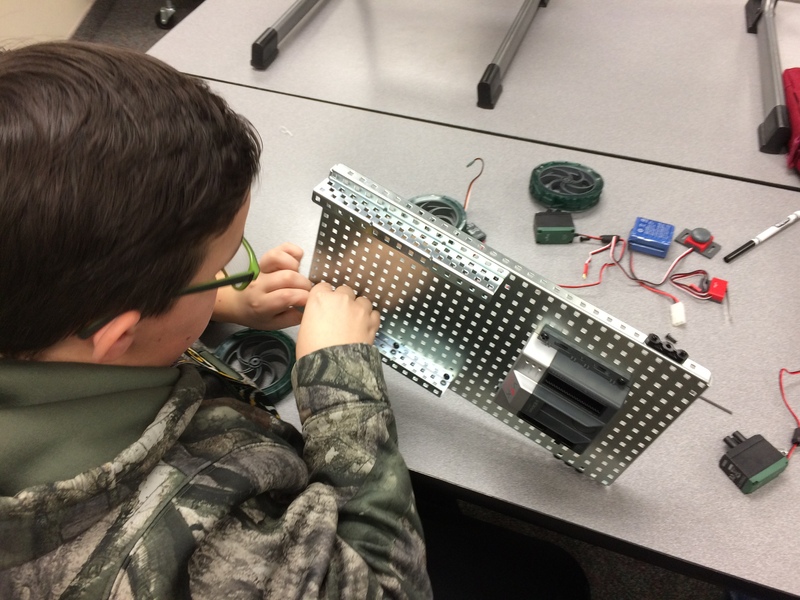 This school year Harrisburg South Middle School was fortunate enough to add two new Project Lead The Way (PLTW) classes to it extensive line up of encore choices. Automation Robotics and Design and Modeling were added into the rotation this year in conjunction with giving Learners more voice and choice about what they wanted to learn in their encore classes. Both classes are similar to other CTE (Career and Technical Education) classes South already offers, but both allow students to go a deeper into the content than ever before. 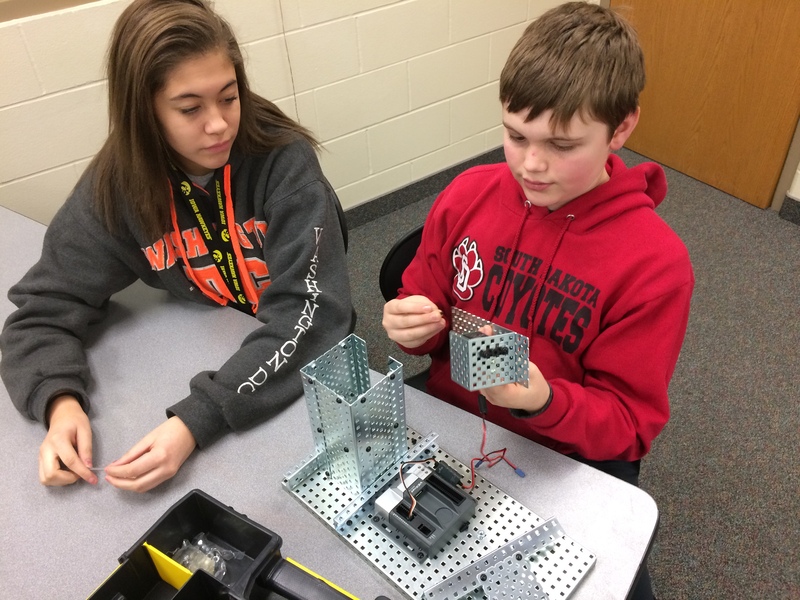 Automation robotics is lead by PLTW teacher Christopher Stewart, @tigerroboticssd on Twitter. Chris has an extensive background in robotics and is the director of Tiger Robotics, a group of 15 Robotics teams based in the Harrisburg school district. The class starts by teaching learners basic mechanical engineering where learners build several projects with mechanically complex elements that are all human powered. 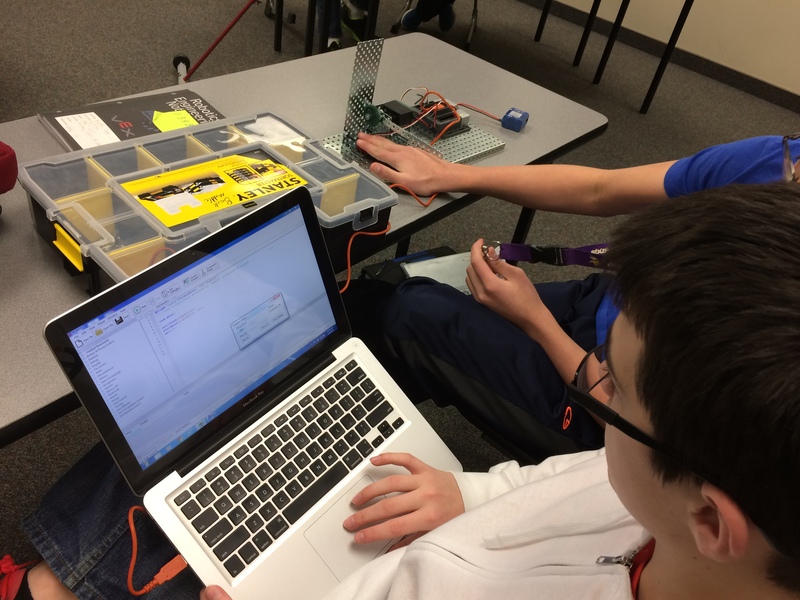 As learners finish their projects they move into basic programming, where they learn to program basic movements on a test bed that has multiple motors and sensors. Once learners are proficient in building and programming they move to the final phase where they start to develop more complex machines that are automated and can function on their own. Learners move through each of these phases in differing groups and taking on different rolls. The class is extremely hands on with learners showing their mastery by building projects and then explaining how they function to their classmates. Learners and teacher alike learn from each other as innovative ideas form to solve the challenge of each new project. Our South learners love this course and the vision of Mr. Stewart. This is part 1 of 2 posts on STEM courses. The next post will highlight another PLTW course related to STEM work. This entry was posted in Uncategorized on January 11, 2017 by darrenellwein.